Around seventy percent of the Crimean War veterans who came to Western Australia in the mid-19th century were men of the Enrolled Pensioner Force. They arrived on the convict ships as guards between 1850 and 1868, others arriving later to ‘top-up’ the pensioner system in Western Australia before it was finally disbanded in the first quarter of 1887. This is the first of two articles aimed at shedding some extra light on both the origins and development of the British Army’s pensioner system and the important roles many men, specifically the out-pensioners, continued to play within the military establishment. By friends remember’d, nor forgot by foes…..
From a poem by Samuel Jackson Pratt, reprinted in Gentleman’s Magazine Vol. 80, 1810. As was the case right up to the time when the Enrolled Pensioner Force arrived in Western Australia, the vast majority of veterans who received some support were out-pensioners. All told over 60,000 pensioners were on the books when the Napoleonic Wars ended in 1815. The number rose to 85,000 by 1828 in the aftermath of a number of imperial conflicts in India, West and South Africa and South-East Asia. From the year 1661 Britain had a regular army at its disposal, one more or less stable and closely bound to the monarchy. Elaborate and sometimes bizarre administrative structures were created to administer the gradually expanding collection of regiments. It would take a dissertation to explain the system but for present purposes it is necessary to consider just one aspect. 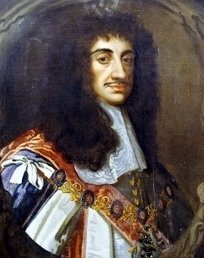 The monarch of the day – King Charles II – got the idea that aged, worn out, infirm or crippled soldiers were entitled to care and consideration. Officers were eligible for pensions from a contingency fund established in 1661, which meant they could go on ‘half pay’ whilst not in actual service. Common soldiers were left out, though some veterans were retained on the muster rolls without being required to perform duties. Lump sums were paid as a ‘Kings Bounty’ to widows and orphans. The King decided it was not good enough and was persuaded by his illegitimate son, the Duke of Monmouth, to build a hospital and refuge for deserving old warriors on the same lines as Les Invalides, the Paris hospital opened for aged, wounded and disabled soldiers in 1674. 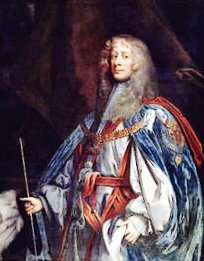 In October 1679 King Charles issued a royal warrant to the Duke of Ormonde (Lord Lieutenant of Ireland) for the building of a ‘Hospital for such aged and maimed officers and soldiers as might be discharged as unserviceable and to make a deduction of six pence in the pound from all military pay towards that project’. Building began at Kilmainham near Dublin in April 1680 and in March 1684 the first pensioners were admitted – ten officers and 100 soldiers. The wars of the 1690s made it impossible to include all deserving cases in the system. In 1698 most of the men on the rolls were being paid 18 pence per week as out-pensioners instead of being maintained in the hospital itself. The more famous establishment in England was soon to open its doors. King Charles ran into resistance from Parliament in 1679 which, because of a combination of fear of ‘tyranny’ and what can only be described as sheer stupidity, declared all military forces to be illegal. He then dissolved Parliament and on September 1681 ordered Sir Stephen Fox, Paymaster of the Forces, to build an appropriate institution close to the capital. Fox found means to finance the project on Royal Society property or purchased land at Chelsea. The King generously endowed the project and laid the foundation stone in early 1682. 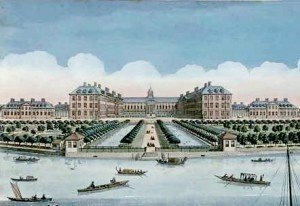 From 1684 Chelsea Hospital was supported by a tax on the purchase price of army commissions and a 5% deduction from all military pay. Sir Christopher Wren’s work on the building and grounds was not completed until 1690. The first in-pensioners, soldiers disabled by wounds or age, were admitted from February 1692. They numbered 476 and were balanced by out-pensioners: four companies of invalids still capable of serving in some capacity and who were armed and quartered as garrison troops at Windsor, Hampton Court, Teignmouth and Chester. The out-pensioners, for obvious reasons, are at the centre of most of what follows. Even back then they were called enrolled pensioners, a familiar term to all readers. Their use as a vital factor in fortress defence continued for generations. Although not fully fit for general service in the field, they were valued in times of crisis because there were frequent problems in recruiting sufficient new soldiers for regiments of the line, whether horse or foot. 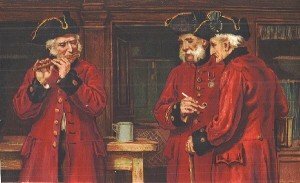 Such pensioners were not organised in regiments but rather in companies, often simply named after their captains. Another oddity is that they shared facilities with master gunners and gunners of the Royal Artillery who, strangely, were not actually part of the army as such. They were controlled by the Board of Ordnance. During the first half of the 1700’s Britain was involved in two major conflicts – the Spanish Succession War and the Austrian Succession War – which stretched financial and manpower resources and perhaps convinced the political elites of the need for a solid military establishment. That was pegged to a maximum of 30,000 in 1749, but the outbreak and course of the vast and indeed global Seven Years War put an end to much penny-pinching. Before the conflict broke out a very capable de facto Army chief-of-staff, Lord Jean-Louis Ligonier, took office; he entered the picture at a critical moment in 1755. After war began Ligonier presided over a massive increase in army numbers, including the raising of an additional 12 independent companies of Chelsea out-pensioners for garrison duties in the homeland from 1756. As the war expanded and intensified the Royal Navy was able to fend off all invasion attempts, but recruitment problems remained dire because of the need to send many soldiers overseas. The out-pensioners were called into service in ever greater numbers, a total of nearly 4,000 men in at least 36 companies by the year 1759. They served as garrison men at numerous strongholds both during and after the conflict. Their usage does not take into account veterans who should have been pensioned off, but who stayed in those regular regiments assigned only to home defence. There was some consolation after the victorious end of the war. 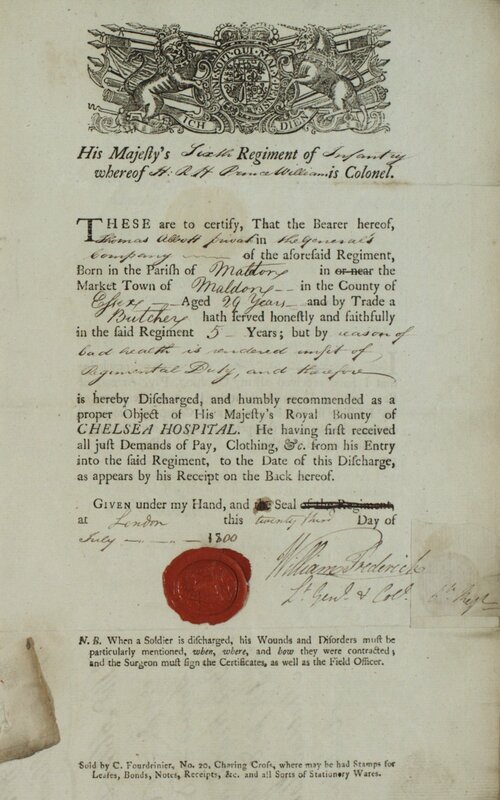 A royal warrant of February 1766 provided additional subsistence money to men discharged as invalids fit for admission to Chelsea. This helped out-patients a lot, as not all could enter the hospital at once and many never did. Also in the aftermath one additional benefit arising from the existence of companies of enrolled pensioners must have become obvious to some members of the officer corps. Those ageing lieutenants and captains who could not afford to retire after the war ended in 1763, or who lacked the money to buy their way up the ranks, realised that solid service with out-pensioner companies had certain advantages. Chelsea Pension record for Thomas Abbott, born Maldon, Essex 1771. Discharged to pension in 1800 from the 6th Royal Warwickshire Regiment. In 1774 recruiting difficulties were already apparent and never enough troops were available to both fight in the colonies (e.g. American War of Independence) and defend the homeland. Only a third of an establishment of 120,000 was available to fight overseas during the most dangerous period, when even more garrison troops than usual were needed. The Government had from quite early on been forced to recruit German mercenaries. 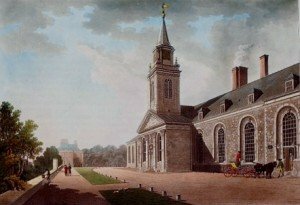 The Royal Navy saved the day but some sections of the British political elite had still not learned their lesson, for the usual trimming down and neglect of the Army began again in 1783. 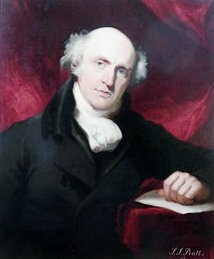 Fortunately for Britain Prime Minister William Pitt the Younger had the foresight to push through a build-up over the next few years. By 1790 41,000 effective troops were in peace time service, about a quarter of them in England. Some Independent companies of foot were also raised, while by 1793 the usual array of companies of invalids (out-pensioners) were scattered about, no less than 39 of them in various forts and posts. In passing it is worth noting that about 20,000 military pensioners were receiving subsistence by 1792. Pensions were not given freely (they had to be applied for) and could be forfeited in cases of bad conduct. In 1814 a scale of payments for out-pensioners was published, ranging from 18 pounds per annum down to three or four shillings a week. The outbreak of war with Revolutionary France in 1793 plunged Britain into the direst series of crises in its national history up until 1940 and the nation was transformed over the next 22 years into what amounted to a kind of ‘fiscal-military’ State. Drastic reforms were needed to maximise recruiting, starting with a new Catholic Relief Act in 1793. Catholic Irish were now allowed to join the Army or militia on the same basis as everybody else. Furthermore, educated and ambitious young Irishmen could obtain commissions as officers and largish numbers of them stepped forward to serve, particularly after the end of the sectional revolt of 1798. The war years also saw a major change of direction in the use of Chelsea out-pensioners. During a brief lull in hostilities, in December 1802 seven garrison battalions were formed by uniting various garrison companies of invalids and additional Chelsea out-pensioners willing to serve but unfit for the rigours of normal campaigning. The military authorities were impressed by the results and they were all re-titled Royal Veteran Battalions in July 1804. Over the next few years these military pensioner battalions increased in number to 13, with a probable total strength of over 10,000 officers and men. As usual they served mostly on garrison duty around the British Isles. However something very different happened for some, a reflection of the dire necessities of the war against Napoleonic France. Four battalions went to serve overseas. The 1st Battalion was based at Gibraltar from 1805-1810 when the fortress was under siege or blockade by the Spaniards and France in turn. A campaign in the Netherlands followed in 1813-1814 as part of an army under Lord Lynedoch, during which the battalion held the port of Willemstad. The 2nd Battalion garrisoned the Portuguese island of Madiera from 1809 to 1814 – the place was an important Atlantic base for Britain. The 10th Battalion served in Canada from December 1806 and was actually thrown into battle when war broke out with the United States in 1812. The unit fought with distinction in three victorious engagements before being relegated to garrison duty. The 13th Battalion served in the Netherlands during 1815, although it was not present at Waterloo. The successful deployment of such large numbers of military pensioners outside Britain was a precursor of things to come in far corners of the world, culminating in the arrival of the Enrolled Pensioner Force in Western Australia. Haythornthwaite, P.J. The Armies of Wellington, (Arms and Armour Press, 1994). Ascoli, D. A Companion to the British Army, (Book Club Associates, 1984). Walton, C.E. History of the British Standing Army, 1660-1700 (London,1894). Williams, N.St John, Redcoats and Courtesans (Brassey’s, UK, 1994). Fraser, A. King Charles II (Weidenfeld and Nicholson, London, 1979). Rogers. H.C.B. The British Army of the Eighteenth Century (George Allen and Unwin, 1977). Whitworth, R. Field Marshal Lord Ligonier (Oxford, Clarendon Press, 1958). Knight, R. Britain Against Napoleon (Allen Lane, 2013). Bartlett, T. and Jeffery, K. A. Military History of Ireland (Cambridge University Press, 1996). Malcolmson, R. Historical Dictionary of the War of 1812 (The Scarecrow Press, Maryland, 2006). Bamford, A. A Bold and Ambitious Enterprise (Frontline Books, 2013). This article first appeared in the EPG Gazette, Vol.17, No.1 entitled By Friends Remember’d, with expanded narrative and footnotes.